Research & Development Facility Helps in Innovative Techniques of Products. Research and development facility helps in developing innovative techniques of producing products. The experts keep themselves abreast with the latest technologies and development in order to offer the clients with impeccable range of products. Further, we ensure that products are manufactured as per the recommended industrial norms. We have a fully integrated Research & Development lab with a team of qualified researchers, who work on a continuous basis for product improvement and innovation. Besides, we also conduct regular market surveys to keep a tab on the ever-changing needs of the customers. 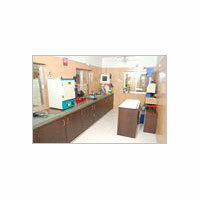 Our R&D department is committed to develop cost effective products with unmatched quality.